Mulaika Nordin is a 15 year old artist, she became the youngest artist in history to hold a solo exhibition at the National Art Gallery when her exhibition titled “A Thousand Days of Change” was launched by En. Zain Azahari in March 2019. Over the past 3 years her work has received critical acclaim from both the media and the collectors in Malaysia. One piece in particular “Bilik Kaunseling” or the “Counselors Office” is a clear statement of some of the issues faced by young people in an evolving education system in Malaysia. This will be the center of the discussion with Mulaika, held on the 23rd of April, 2019 from 2:30 pm to 4:00 pm. 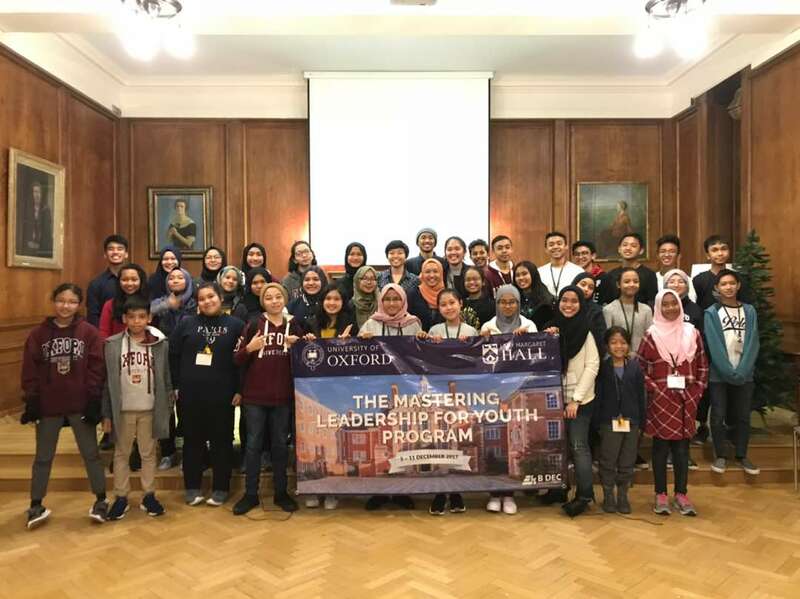 Tomorrow’s Leaders Summit would like to congratulate all the participants of the Mastering Youth Leadership Program that was conducted in Lady Margaret Hall in Oxford University. Tomorrow’s Leaders Summit will continue to support such leadership programs to ensure that the youth of today can lead through the challenges of the future. The Mastering Leadership for Youth Program gives college bound high school students the opportunity to live, learn, eat, and play on the campus of Lady Margaret Hall of Oxford University for seven days while learning about English language, leadership and teamwork while being inspired to solve social problem and practicing team building. We want to empower students to become leaders and change makers.